The Senneterre Tourist Information Office offers a full range of brochures on Abitibi-Témiscamingue, all Quebec regional tourism guides, many guides for other Canadian provinces as well as specialized guides on camping, outfitting etc. In addition, you’ll find Senneterre souvenirs and native handicrafts for sale. 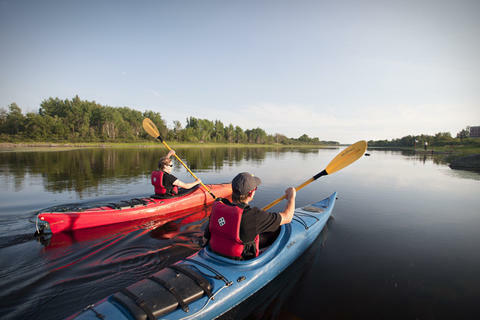 The office also operates La Belle en Kayak and a geocaching street circuit. Opening hours: May 26 thru June 23, daily, 8:30 a.m. to 4:30 p.m.
June 24 thru August 19, daily, 8:30 a.m. to 5:30 p.m.
August 20 thru September 3, daily, 8:30 a.m. to 4:30 p.m.